Inside This Building, It's 1958. Absolute Classics Marine. My eBay Foe, Deserves A Plug! 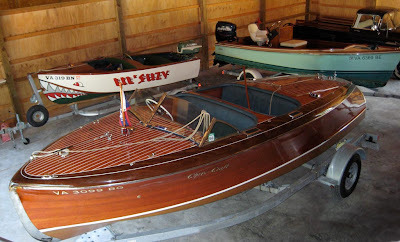 A Week Of Classic Boat Bliss! Matt, you are living the dream. All you are missing is a ’47 Harley Knucklehead. HA, according to my wife there is already a Knucklehead in that building….